The Silent Night, Deadly Night film series – which, at last count, includes five canonical chapters and one remake – may be one of the only film franchise that built its own longevity on gall alone. The original Silent Night, Deadly Night (1984) was pilloried by critics who found the film to be vile and tasteless; Gene Siskel and Roger Ebert famously lambasted the film, often citing it – for many years, in fact – as a low point in the slasher genre, a genre they both hated. It only ran in theaters for one week, earning about 2.5 million overall. And yet the premise was too deliciously crass to ignore. A killer Santa Claus? There was too much untapped potential for cinematic exploitation. The idea had been famously covered in Tales from the Crypt (1972), and again in Christmas Evil from 1980 (incidentally, the New Beverly’s midnight show on December 15th), but it would take Silent Night, Deadly Night to crack the code. Thanks to that film’s infamy, the notion of a killer Santa Claus – or at least a killer in a Santa Claus suit – would invade the mass cinematic consciousness. Given the fast-and-dirty nature of the bulk of horror filmmaking throughout the 1980s, producers eventually demanded a sequel to their notorious little cult phenomenon. 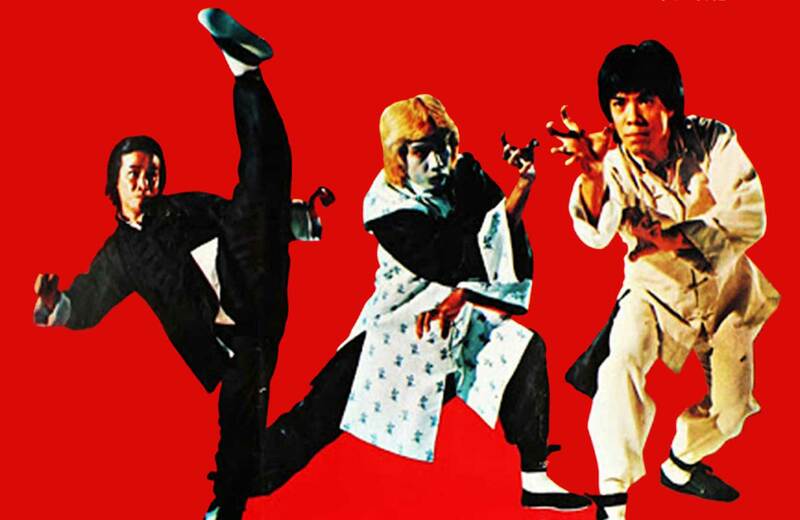 According to director Lee Harry, he was instructed by those in charge to merely re-edit the first film and release the result as a sequel. The practice of re-editing and re-selling exploitation movies is, of course, a decades-old tradition employed by a variety of B-movies luminaries. Harry, however, didn’t like that idea, and insisted on shooting new footage. Given his incredibly limited budget, however, Harry didn’t have the creative leeway to make an entirely new film from scratch, so he split the difference, making an 88-minute slasher that creatively re-used 25 minutes of footage from the original. 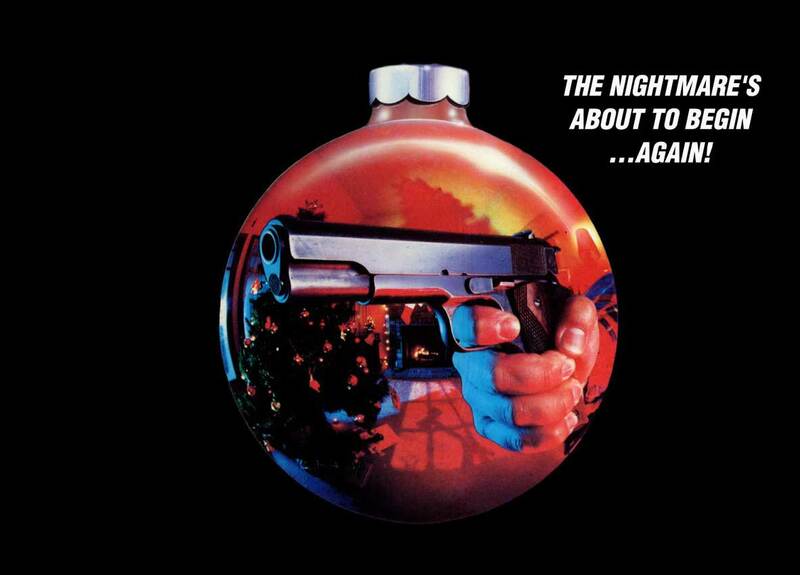 Silent Night, Deadly Night Part 2 was released in May of 1987, just in time to be seven months early for Christmas. The story of SNDN2 is perhaps creative, given the limitations: It turns out that Billy, the killer from the first SNDN had a little brother named Ricky, who was created entirely out of clever editing. Ricky was a witness to much of the first film’s violence, and began to act on his trauma by committing murders of his own. This is a theme repeated from the first SNDN: A man who dresses as Santa Claus and commits murder was likely the victim of a careful series of specific traumas. Both Billy’s and Ricky’s ultimate goal was to brutally kill the strict and abusive Mother Superior (Lilyan Chauvan in part 1, Jean Miller in part 2) of the orphanage where they were both raised. Billy was unsuccessful, but perhaps Ricky can get the job done. Ricky will try, of course, but only after having a long conversation with his shrink wherein he recounts the events of the first film. Ricky was played by an actor named Eric Freeman whose performative bravado and bonkers scenery-chewing menace has earned him a spot among midnight movie aficionados as a minor cult deity. Freeman, who appeared in a few other film and TV projects throughout his career (he was in the little-known films Murder Weapon and Ghost Writer, both from 1989), may still be best known for his work in SNDN2 thanks largely to the way internet memes grow and evolve. Sometime in the early 2000s, you see – long after the fifth SNDN film came and went without much notice – a particularly brutal and amazingly funny sequence from SNDN2 started making the rounds on YouTube. It quickly began gaining traction as pop cult shorthand spoken in hushed, giggly tones among its fans. Before long, the Garbage Day sequence had been viewed millions of times, and Eric Freeman became the subject of deep speculation. The Garbage Day sequence oddly took on a weird life of its own. 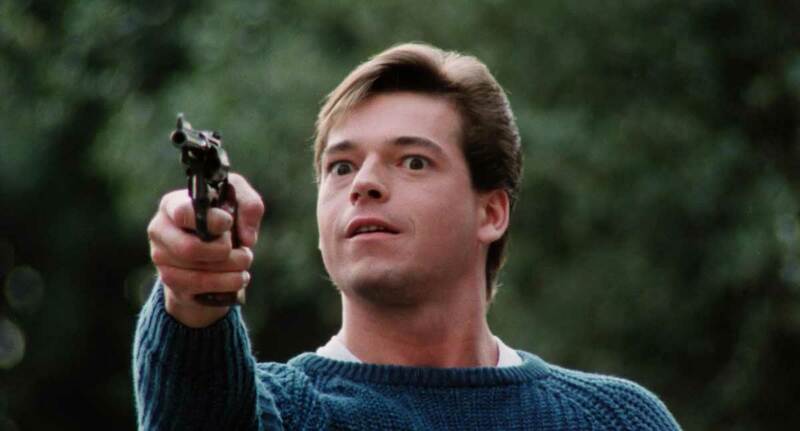 It was often viewed independently of Silent Night, Deadly Night Part 2, and many fans of the sequence weren’t initially aware of what film it had originated with. While SNDN2 remained a small sequel to a better-known slasher, the Garbage Day sequence became a cult phenomenon unto itself and the phrase began entering the chat room lexicon of various online realms. Young fans of the sequence began to wonder who Eric Freeman was and what had happened to him. Why hadn’t he acted more? Why wasn’t he taking advantage of his newfound internet fame? Was he even aware of his newfound internet fame? To answer these questions, filmmaker Scott Pearlman began making documentary film about Freeman called, what else?, Finding Freeman, which is, as of this writing, still in production. Various fans and critics were interviewed for Finding Freeman (including yours truly), about the fleeting nature of internet fame, and the way audiences worship movie stars, no matter how odd or small. 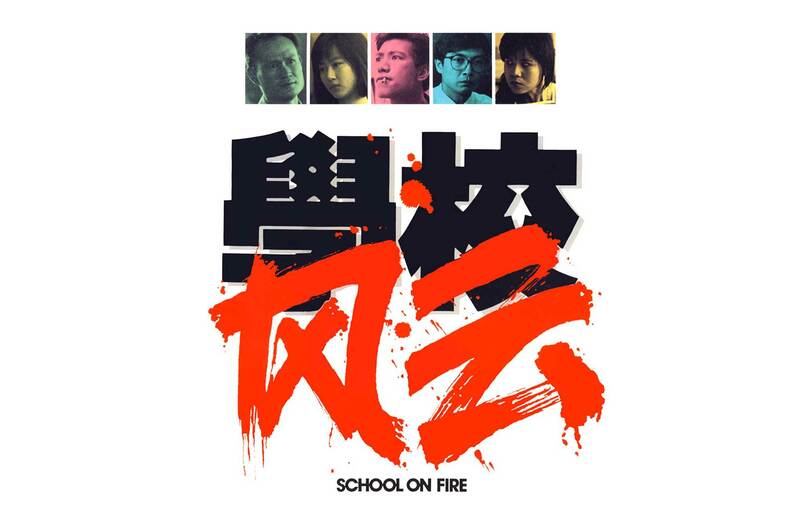 The trailer for the documentary was included on the most recent Blu-ray release of SNDN2. Freeman, of course, was largely unaware of his internet fame, and it wasn’t until he was eventually contacted by younger cultists and filmmakers that he had realized what a phenomenon Garbage Day had become. He has since spoken in public about the matter a few times, often commenting humbly on his B-movie career. SNDN2, first and foremost, offers audiences access to Freeman’s gloriously over-the-top performance. It’s the type of unhinged acting that comes from a total commitment to a role, free of directorial fetters or classical restraint. Freeman is a handsome stud, and watching him electrocute someone with a car battery, or strangle his girlfriend (prolific B-movies actress Elizabeth Kaitan from Friday the 13th Part VII: The New Blood and four of the Vice Academy movies) offers a very real – if undeniably trashy – thrill. Additionally – and B-movie aficionados will know what I’m talking about – SNDN2 features a very particular brand of tenacious B-movie filmmaking that belie the hard work and admirable frustration that went into making it. It can be fascinating watching a filmmaker shoulder their way through the obvious budgetary obstructions specially built for them: In this case, Lee Harry had to make two thirds of a film for almost no money. That he assembled something that actually has a plot and characters is certainly admirable. Freeman, Harry, and the rest of the cast and crew would be left behind for Monte Hellman’s Silent Night, Deadly Night 3: Better Watch Out!, which featured a zombified version of Ricky (now with his brain visible through a glass dome) stalking a psychic girl and her friends. Ricky was now played by cult fave Bill Moseley. For Brian Yuzna’s Silent Night, Deadly Night 4: Initiation, Christmas is pretty much abandoned entirely in favor of a cockroach-centric Wiccan cult of some kind (embellished by insane Screaming Mad George creature effects! ), and Martin Kitrosser’s Silent Night, Deadly Night 5: The Toy Maker featured a waning Mickey Rooney, a lifesize intelligent automaton, and no shame whatsoever. Rooney was, not incidentally, a famously vocal critic of the 1984 original. By 1991, he was headlining. The series started weird, and only got weirder. The turning point is likely SNDN2, and the Garbage Day sequence therein. This Saturday at midnight, you can witness it firsthand.